I don’t know who said it, but you can go to the four corners of the earth and you will find four things, fleas, cockroaches Jews and Scotsman, and they are running everything. In today’s emancipated society such a characterization might be considered and exaggeration, and politically if not factually incorrect. But it is funny, and I, a Scott, surely have been blessed to meet wonderful Jewish people where ever I have been, particularly in London and Los Angeles. They have influenced my life and guided and supported me, and I love them. Talk with Jewish people for long enough and they will fill your ears with stories, with sorrows and with humor. I have been writing down stories for a long time now, and dotting the pages are references to that influence. It could not be helped. Now it is time to acknowledge how strong that effect has been. 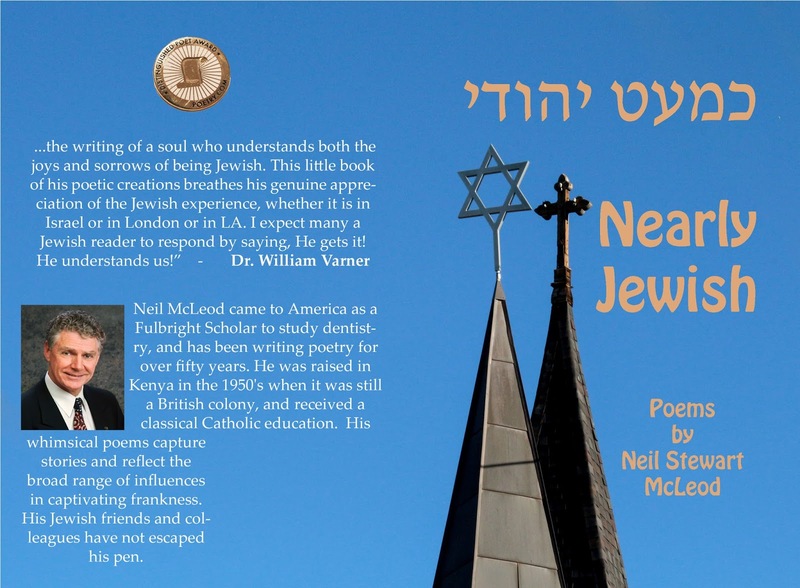 So here with out apology for my Goyisha ignorance and errors are my Jewish poems. Oy vey! 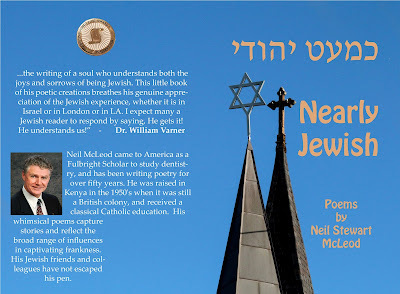 "I hope and pray also that this little treasure will find its way into the hands of many Gentiles, who will gain a new appreciation of “Yiddishkeit” that wonderful Yiddish word that means something like “Jewishness.” I count it a privilege to commend it to readers of all religious persuasions. Be prepared to laugh and to cry – and to come away enriched." I hope you will take his advice and have a look. 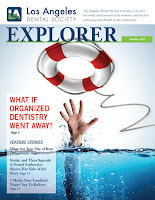 For two years and ten editions I have had the privilege to write the commenting editor's corner for the Los Angeles Dental Society newsletter the "Explorer". It has been a lot of fun! Now I am moving into the Web presence and marketing side of the Dental Society's administration. 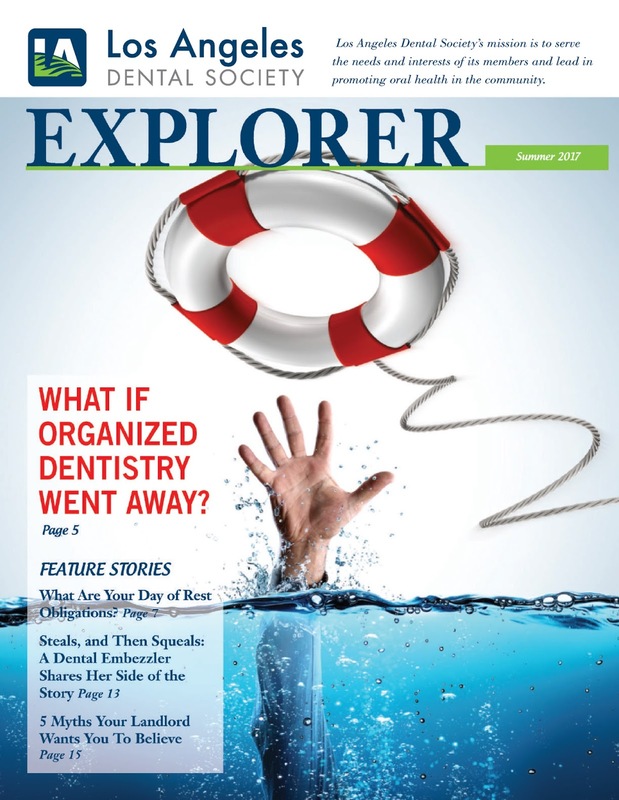 Spots were written about the significance of the dental profession, caution in embracing new technology, how important it is to keep up to date yet being aware of marketing pressures, and reviewing the digital changes that are affecting dentistry. When new technical advice revealed that we should not brush immediately after meals, an exposé was made, and when public broad casters drew into question the value of flossing a condemnation was launched criticizing their foolishness. The importance of oral health in maintaining a healthy brain and heart rounded out the physiology, and a final slam was made against the sadness of consumer demands causing favorite treatment adjuncts to disappear from the market-place, and simply no longer be available. That "End of An Era" is copied below. “Sorry we don’t carry that any more!” said our representative at Patterson Dental. That was the answer that really got my attention. Suddenly I was rummaging around in the jumble of files which so untidily fill up my mind remembering Tempak, the best temporary filling material ever, and the daisy cup for Vacu Rinse which replaced my cuspidor in 1976. “We don’t have hydrocolloid impression material any more, we can’t get it.” What they meant was, “nobody orders that any more Doctor McLeod, you are an old dinosaur!” I called Dux and was informed that they had four boxes of heavy bodied tubes and a few hundred cartriloids left, and would I like them. After that it would be over. Hydrocolloid impression material has been the gold standard for restorative dentistry since Morris Thompson consolidated the technique in the 1950's. By 1974 when I entered USC dental school it was the material of choice for anyone wanting to get really accurate impressions for fine restorations, particularly in gold. Subsequently we as a profession embraced rubber-base and then the new poly vinyl siloxane materials which moved forward in preeminence and slowly superceded the use of hydrocolloid by all but a small cadre of enthusiasts. Now the demand for the seaweed agar is so small that it is being dropped from the catalogues. Overshadowing all of this is the pressure to use digital light impression technology. Even the bite registration can now be indexed using an algorithm that manipulates the data from the light impression files. Today nearly every porcelain or zirconium crown has a base that is carved by a CADCAM system which means that even if you are taking a physical impression it is at least one step removed from the original. So we are actually being forced to change yet again. This discontinuation of agar comes hand in hand with the introduction of optical impressions. One might compare this with the introduction of digital photography and x-ray imaging. How many of us now still use photographic emulsion for pictures or x-rays? The answer will be the same about impression materials all too soon. My question is are we exchanging quality for convenience? For answers to these and other conundrums remember we are here for you at the Los Angeles Dental Society.